Anna lives in the Hyde Park-Kenwood which is a neighborhood seven miles south of downtown Chicago, from 47 th to 51st Street bordered on the west by Washington Park and on the east by Lake Michigan. 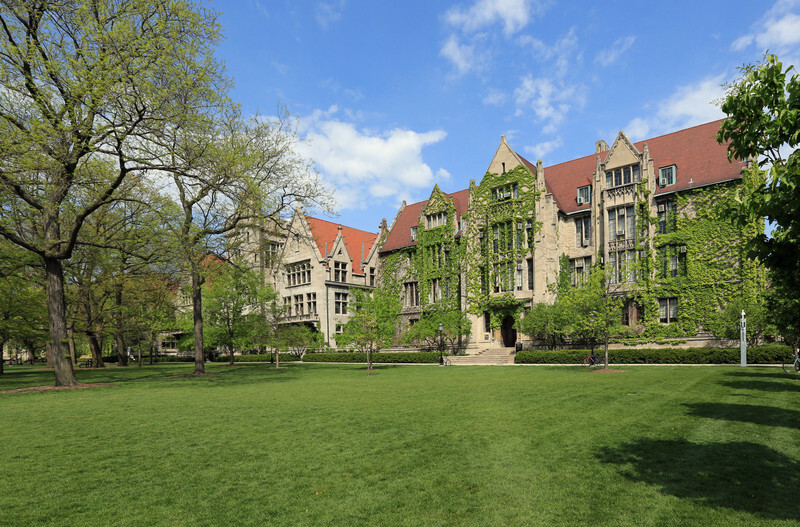 Lawn of the centrally located Quadrangles area of the University of Chicago. A good deal of her adult life is spent on this campus.